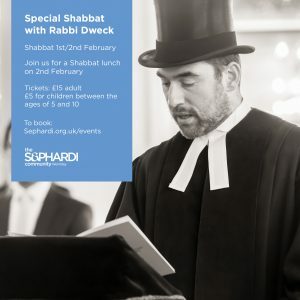 Join us for a Shabbat lunch with Rabbi Dweck. Pre-booking essential. 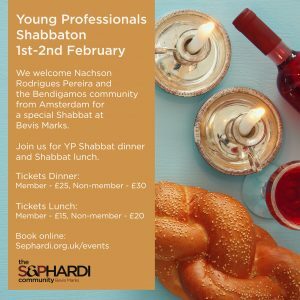 We welcome Nachshon Rodrigues Pereira and the Bendigamos community from Amsterdam for a special Shabbat at Bevis Marks. 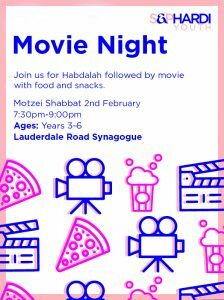 Join us for YP Shabbat dinner and Shabbat Lunch. 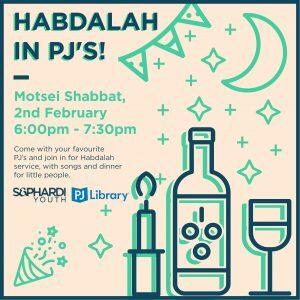 Come with your favourite PJ and join in for Habdalah service, with songs and dinner for little people.